People need to understand that for something really groundbreaking, it is not just injecting pure creativity, there is an imperative need for unconventional content. Heineken’s social experiment, ‘Routine Interruptions’ placed thousands of people in a dilemma, in a decision making scenario. And I like decision making scenarios. You get people all cold feet and under stress while they attempt to make a really scary decision. In this case, the answer to an ultimate night out is simply picking up the phone, mustering up the courage to do exactly what the caller says. People get really scared when they don’t know what unfolds and this level of suspense is what builds the plot for this campaign. Excellent work there, Heineken. Everyone’s has their eyes glued onto the world cup right now. Whats unfortunate is that the timings where it is aired is during the day and most people are actually slogging away at work. To make work entertaining, Heineken USA had a brilliant idea. They are proposing American bosses to select one of the games and actually permit their employees to enjoy those matches during work! Check out #BrazilianNoShow challenge. 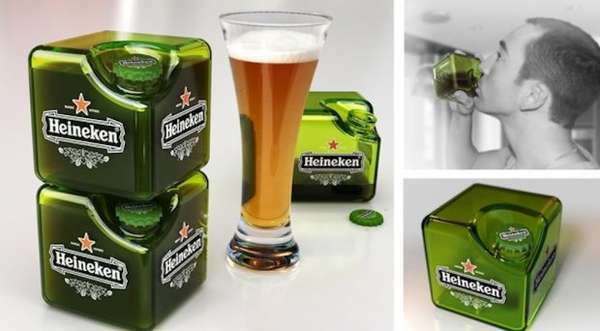 Nuno Teles, CMO of Heinken USA describes that taking part in the challenge might win you an ice cold chilling Heineken. More Budweiser stuffs. 6 million hits and running. I guess the idea of being there for you at the most intimate moments seem all too tempting for any big brand to leverage on. However, in doing so, evading the commercial element of it would seem highly impossible. Here we see a hero returning back to his hometown. He receives a great surprise from everyone back home. While the experience is usually ephemeral, Budweiser attempts to transform this occasion to a joyous one with a huge party installed for LT. Chuck Nadd. “Every soldier deserves a hero’s welcome”. Despite not eluding the fact that it is still a commercial selling beer, the softer side of the story brings us to a level where we question if advertising has an unconventional approach with lesser surfeit of hard selling details. Instead, it might just be more effective where emotions are involved. All of us look forward to friday. Nothing beats gulping ice cold beer down the pipe after a frantic week at work. What’s interesting is that I have came out with the idea of a ‘half-time’ beer for a lager client before, and how it would turn consumers into their brands in the different pubs and now, there is a friday beer. Generally, people tend to get influence into doing things when they get it into their system in a rather sub conscious manner. Here is a good example of how UK’s Deskbeers is leveraging on this psychological theory through their offering of local craft beer to offices on every Friday afternoon. They support local brewers by providing companies with great quality drinks and delivering them straight to the door step. The employees get a taste of a new beer every week. It could be ale, lager, stout or even the traditional bitter beer. 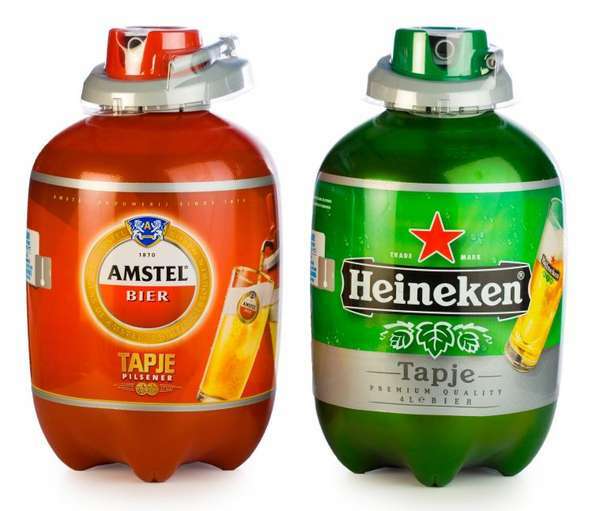 Making the working environment a little bit more relax, this could actually be a great idea to get the bottles reaching out to the masses. 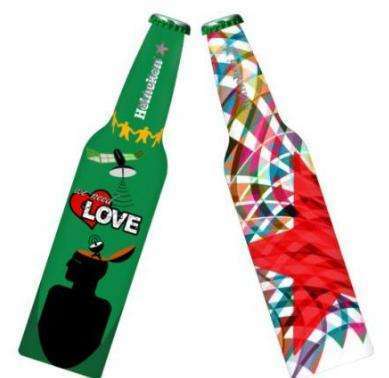 I have worked with several lager labels and time and again I was given a task that would pit against the brilliant branding efforts of Heineken. 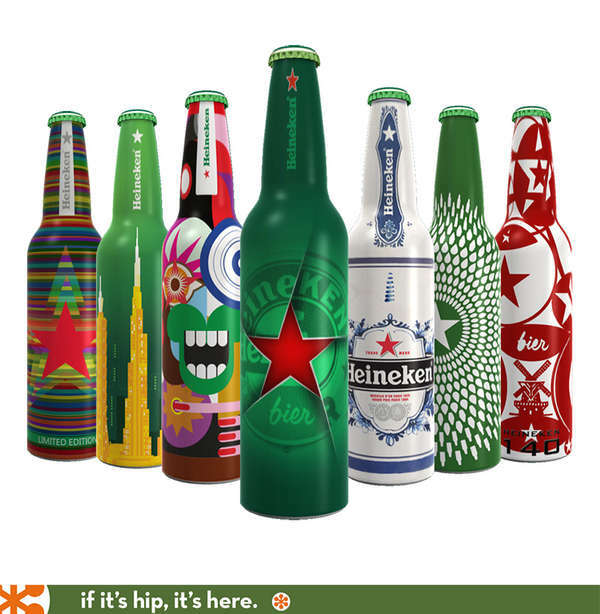 The truth is, many beer labels aspired and have taken Heineken’s branding innovations as a benchmark to challenge for. 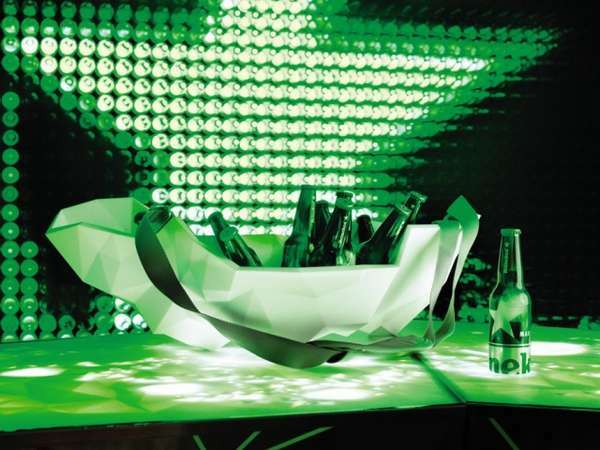 But in reality, Heineken has proven itself to be one that is not only very innovative, very alternative, very adroit, but very consumer driven. The key to it’s success is that it seldom pulls off it’s stunts based upon the traditional approach of passive brand persuasion. I would like to emphasis once again, that they take their consumers VERY seriously. 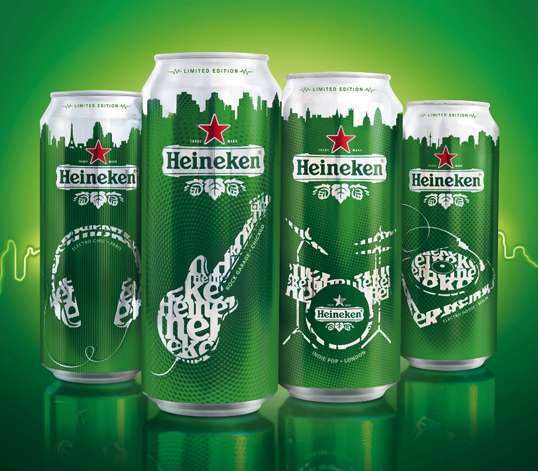 Here are a few of the branding innovations Heineken adopted over the course of their campaign periods. Lately, their campaign, ‘Your Future Bottle Challenge’, would leverage on crowd-sourced content form fans all over the world to create the winning design for their future bottle. 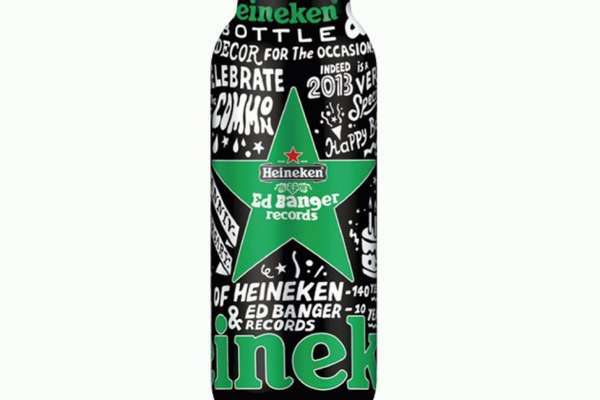 And the results of the winning design would be a fresh print on a limited edition packaging featured in 2014 to give the classic logo a new look. See? Once again, they placed their fans BEFORE everything else. 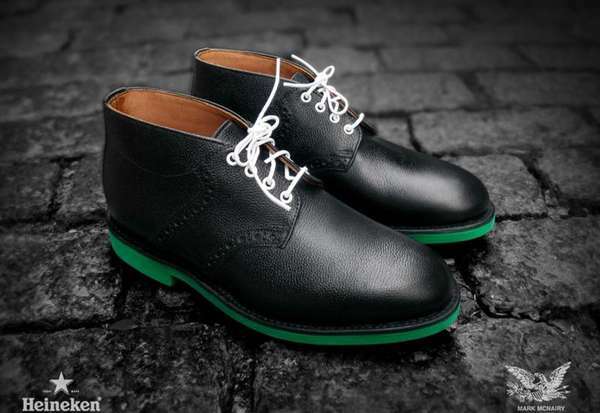 Atop of all these, another winning formula to note is that the brand itself has a lot of collaborations with companies out there which allow their consumers to either benefit in terms of convenience or appeal to them in terms of visual aesthetics. I strongly believe to place your voice in the hearts of your consumers while constantly working with new partners to create innovative work is something that should be inherent in almost any successful brand strategy. Lastly, it is imperative to be innovative, constantly challenging what you have done before and making groundbreaking work through innovation and creativity.